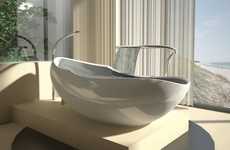 Carlo Colombo is an Italian architect who designed this amazing bathtub, called the Cuna bathtub. 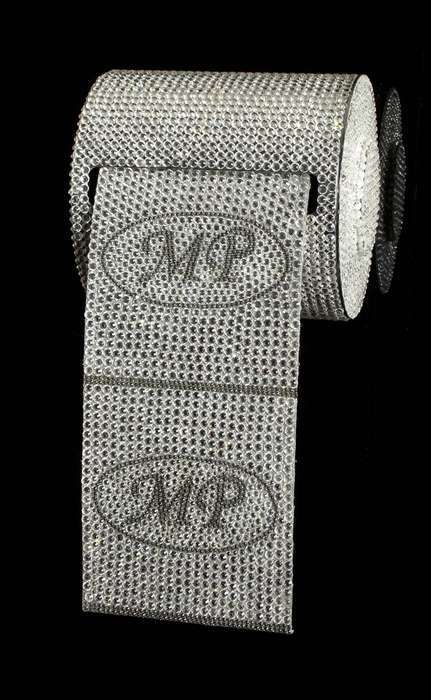 The design is supposed to make the piece a â€œprotagonistâ€ in the bathroom; it certainly demands attention. 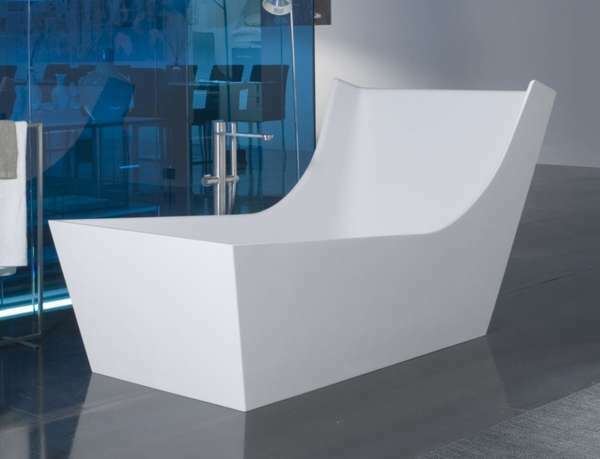 The Cuna bathtub has a high back edge which makes it perfect for a luxurious bubble bath. 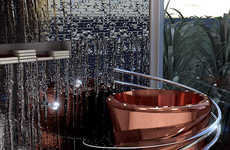 You won't be fussing with a bath pillow with the Cuna bathtubâ€"-Carlo Colombo made this piece perfect without one. 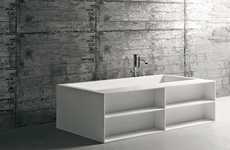 Implications - The featured images show the bathtub situated in the middle of the bathroom, which is exactly where Carlo Colombo intended it to be placed. 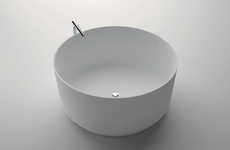 The Cuna bathtub is also shown in plain white and green color with a white interior. 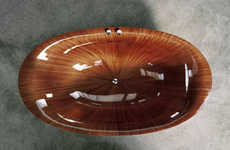 It almost looks like a chair instead of a tub!